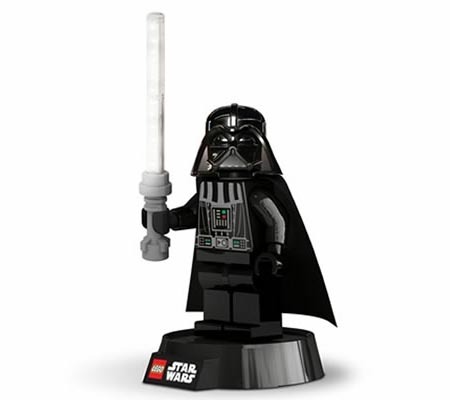 We have introduced a LEGO Darth Vader keychain light, but if you prefer larger figure, the following LEGO Star Wars Darth Vader minifigure desk lamp may be able to draw your more attention. This is a large-scale LEGO minifigure desk lamp themed by Star Wars, one of the most famous sci-fi film series. 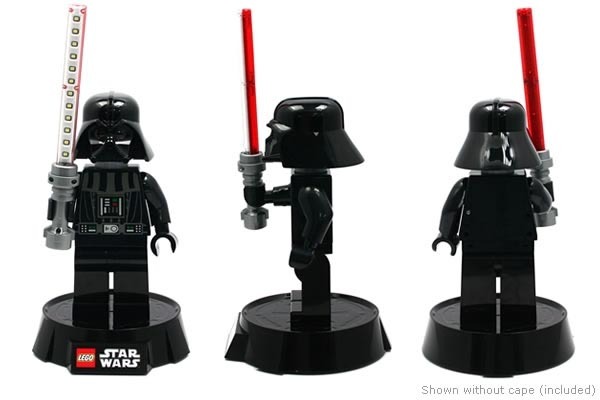 The LEGO minifigure styled table lamp measures 4-1/2 x 7-1/2 x 2 inches, and as we can see from the images, the table lamp is shaped as a Darth Vader minifigure, and comes with subtle details from the original character in the universe of Star Wars, and also features several movable parts including arms, legs, head and torso, you even can remove the Darth Vader’s helmet and cape. Moreover, the lightsaber in Darth Vader’s hand features 12 LED lights to illuminate your desk instead of fighting against Jedi Knights. 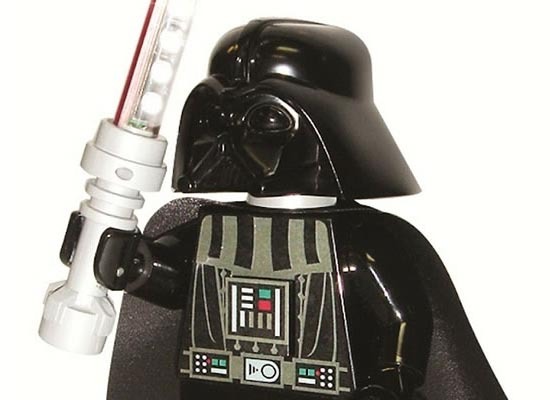 Apart from that, the lightsaber is powered by 3x AAA batteries or USB port. 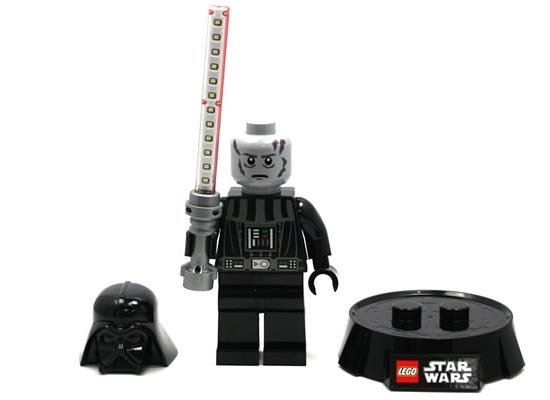 The LEGO Star Wars Darth Vader desk lamp is priced at $59.95 USD. If you’re interested, jump to neatoshop online store for more details. Additionally, if you need other options, you might like to check the Legend of Zelda Triforce table lamp and more via “desk lamp” tag.